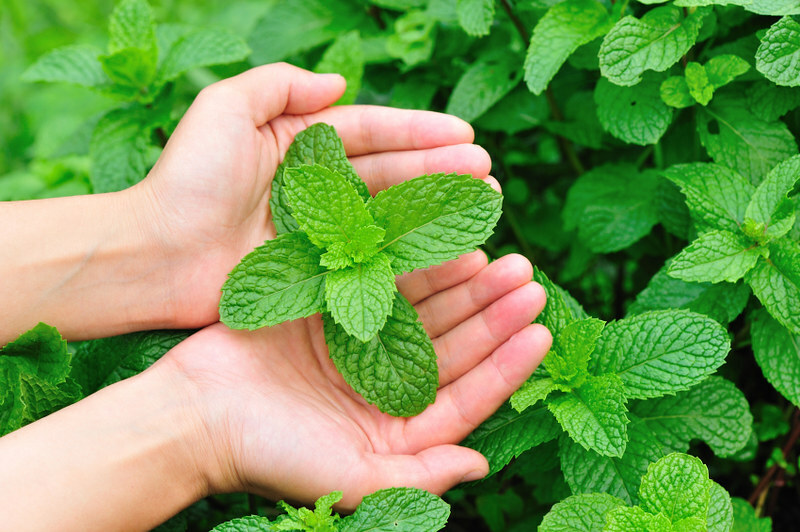 Forget what you thought you knew about peppermint essential oil. This powerhouse has a ton of effective uses! 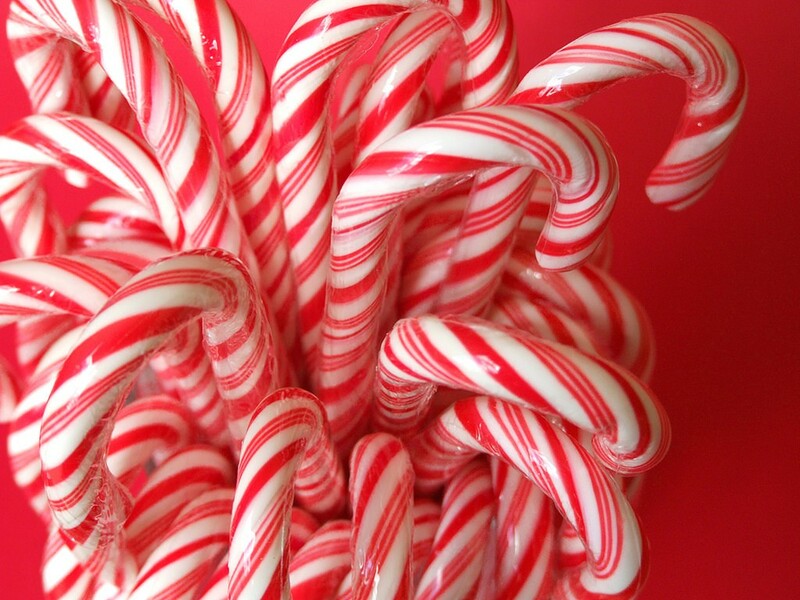 I say “peppermint” and you say “candy canes,” right? Back up a moment. First, forget about red stripes and a tingly sensation on your tongue. Chances are the candied sticks hanging from your Christmas tree each year are probably flavoured artificially with loads of sugar. Secondly, peppermint is so much more than just a scent or flavour. With soft green leaves and a subtle scent, peppermint leaves are hard to mistake in an herb garden. I’ve only ever grown peppermint for the sake of having something to muddle in the bottom of my mojitos in the summertime. So when I recently purchased some peppermint essential oil, I was admittedly perplexed as to how I’d actually use it. As it turns out, this punchy powerhouse has a wide range of ways I’ve been able to use it – and very effectively! Baking – Add one or two drops to frosting or brownie mix for a flavour reminiscent of chocolate chip-mint ice cream! Tummy Troubles – One drop is as potent as 28 teabags! A drop in hot water can help provide fast, effective relief from upset stomach issues including bloating and indigestion. Plus, it works out to only pennies per cup. Energy Booster – Blend it with wild orange essential oil for an instant mood and energy lift. Diffuse it or blend it with some fractionated coconut oil and wear it as a fragrance. Scalp Soother – A drop or two of peppermint essential oil in your shampoo will invigorate your scalp! Plus, because of its antiseptic qualities, peppermint can also be an effective tool in fighting dandruff and even lice. Seasonal Discomfort – Combining equal parts of peppermint, lavender, and lemon essential oil in a rollerball with fractionated coconut oil can provide comfort and added relief when dealing with seasonal issues. No More Nausea – A girlfriend of mine recently gave birth to her first child, and during her early pregnancy, she was seemingly plagued with nausea. By adding a bit of peppermint oil to a spray bottle with some filtered or distilled water and spritzing it on the scarf she wore around her neck, she was able to get some serious relief through peppermint’s aromatic effects. Headaches – When the first traces of a headache are coming on, I rub two drops of peppermint essential oil with two drops of lavender essential oil between my palms, and then massage it onto the back of my neck and into my temples. If you’re going to use peppermint essential oil, whether internally, topically, or aromatically, make sure you’re using a high quality, pure, therapeutic-grade oil. If you want to know more about the brand I personally use and trust, I’d love to chat with you! Send me an email and we’ll talk!